100 -120 hours of video content is added to YouTube every 10 minutes. To watch all the available YouTube videos, it will take more than 1,00,000 years. More than 1.8 billion users sign into YouTube every month. Most of the programmers around the world use YouTube as the main source of learning, because of the huge knowledge base (Lots of educational videos). The main reason why I am talking about YouTube is that with huge amount of content available on YouTube, most of us might have been using third-party applications to download videos from YouTube to access them offline. And even though we use third-party applications or plug-ins we still end up downloading low quality videos and have to upgrade to so called "Premium Account" to download the videos in high quality. So why not build your own application to download YouTube videos? How? Using pytube module of python. Unlike some other famous libraries, pytube doesn't have any third-party dependencies. Pytube is a light-weight python library with a rich set of features for downloading YouTube videos developed by Nick Ficano. This open source project is very easy to use but has a lot of bugs(still a work in progress). Towards the end of this article, I will be providing some code snippets to rectify some of the errors that might occur while you use the library. Hope these errors get fixed by the next release. The above command means that from the library pytube we are using the "YouTube" module and from now on this YouTube keyword will be acting as an Object. This object provides many methods and properties like length, title, rating etc. Note that in the word YouTube letters Y and T are in capital, if the case is not given properly eventually we will end up with a lot of errors. In this article we will mostly work with the YouTube object while briefly covering other objects as well. 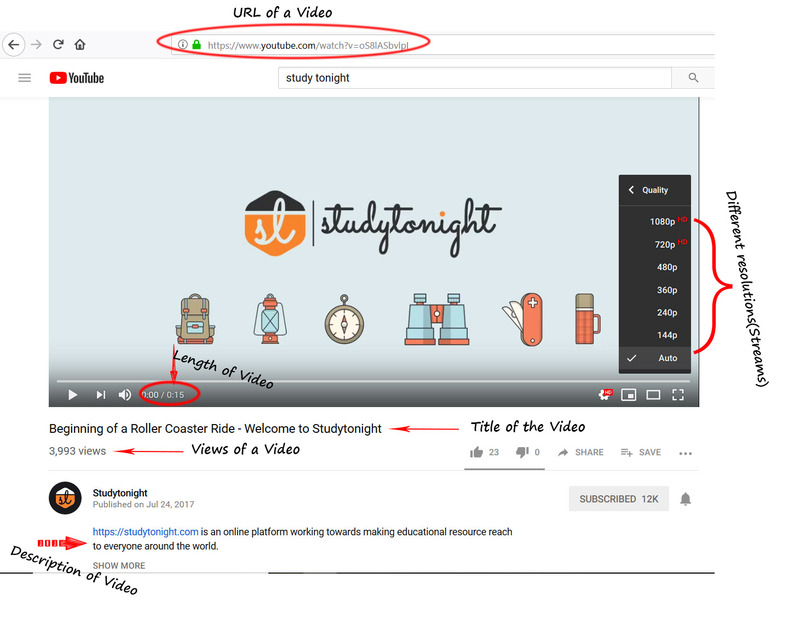 To fetch information about the video that you want to download using the URL of the video, you need to first, create an instance with the YouTube video's URL on which you want to perform operations. Simply copy the URL of the Youtube video and pass it as an argument to the YouTube() object. Following are the properties(information about the YouTube video) of the YouTube object which we can access. NOTE: *Refers that you may get errors while using the property, I will be explaining how to fix those errors in the "Possible Errors and their fixes" section below. Length of a video is the total time in seconds, whenever the property length is accessed using the YouTube object it gives the length of the video. The value returned will always be in seconds. Thumbnail is an image(generally picked up from the video itself) which is the representational image or short descriptive image of the video. When this thumbnail_url property is used on the YouTube object it returns a URL for the thumbnail picture. Every video on Youtube has some description which gives information about the video and some hyperlinks to the associated blogs or websites etc. This description can be viewed by using the description property of the YouTube object (myVideo). The YouTube object (myVideo) has this property called views which returns the number of times the video has been viewed. This property might not work correctly because of the changes in the Youtube API recently. So you have to change the code in the pytube library. All the changes that should be made are listed below in a separate section. rating property will give us the average rating of the YouTube video being accessed. Just like the views property, rating property might also through some errors. Some videos on YouTube are age restricted(can be viewed when signed in), to know whether a particular video is age restricted or not we can use the property age_restricted of the YouTube object (myVideo) which returns a Boolean value. If the value is false then the video is not age restricted and if its true then the video is restricted. This property video_id returns the ID of the video, which is generally present at the end of the Youtube video URLs. Here are some errors that I encountered while working with the pytube library. These errors are encountered when we try to create a YouTube object with some youtube link and the link doesn't gets identified as a valid link. This happens because the regular expression used to identify YouTube links could not identify the URL as a valid one, that's why we need to change the code in the library. The screenshot below shows that this error is thrown in the function get_initial_function_name that is located in the cipher.py file. To know where the library files are installed in your system, open command prompt and type the following command. You can use this command to locate any python package installed. After executing that command you will get the location of the library. Open the folder, and edit the cipher.py file (Administrator permissions might be required). It's better to store a copy of the original file somewhere so that if we end up making some wrong changes we can always use the backup file. After this fix, you can use any YouTube link without getting any error(fingers crossed). Like we mentioned before as well, due to some changes in the YouTube API you might get error while using the views property. Whenever we use the views property, this error occurs because of the old API call made to Youtube by pytube library. This error occurs in __main__.py file at line 290 in the pytube library. As shown earlier, use the pip show pytube command in command prompt and open the library directory and then the __main__.py file and make the following changes. and thats it we are done. Currently there is no fix for this error because the Youtube API is not giving any information on the rating because it is deprecated. Download the updated library files that are fixed from here: Library Files With errors Fixed or update the files yourself as explained above. Now that we have created a simple program and are quite familiar with the basic functioning of the pytube library, its time to take a deep dive and understand how we can actually use this library to download and stream the videos. 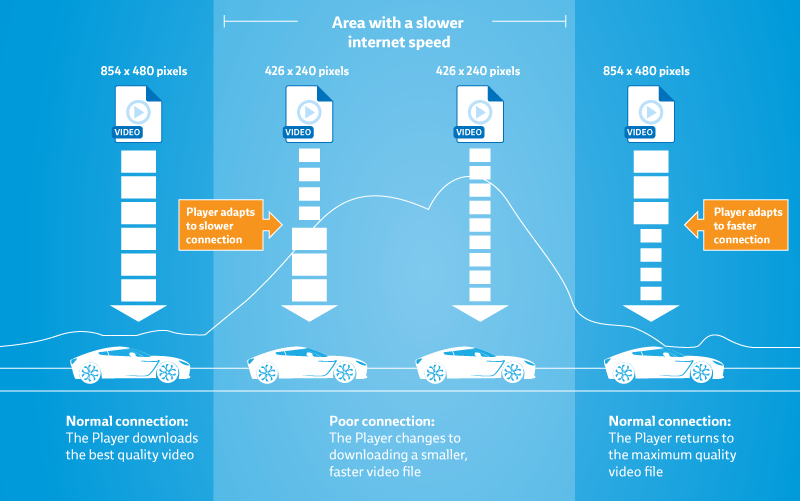 The main difference between these two streams is that Dynamic Adaptive Streaming over HTTP (DASH) is an adaptive bitrate streaming technique while in Progressive stream it doesn't adapt to the current network speed. YouTube uses DASH Stream and that is the reason why it automatically adjusts the quality of the video streamed to your device based on the network speed. Whenever we use the streams property on a YouTube object it will return a StreamQuery object, which you can use to find all the streams available for the video you have provided the link for. In the output, we can observe a list with several streams, but I am showing only a few of the list items. Observe that each stream is just like a tag in HTML with different key-value pairs. Each of these streams have different keys like itag, mime_type, res, fps, vcodec, acodec and abr. acodec and vcodec refers to audio and video codec's. If the vcodec is missing in the stream, it means that it is an audio file and has an extra property named abr(average bitrate)of the audio. When first() is accessed on the StreamQuery object (myVideoStream), it will return the highest quality stream available for a given video which consists of the audio codec also. Similarly, when we use last() on the StreamQuery object it will return the audio stream because it is the lowest quality available. This prints the details of the high definition stream and the audio stream. Coming to the part where we download the video. Whenever you get the details of a single stream you can download that stream to your current working directory using the download() method. If you want to download the file to a specific location or path on your system, you have to just specify the path where you want to store the file as the parameter to the download() method. Remember that whenever the download statement is executed, the program waits for the video/audio to download and it depends on the speed of your internet connection how long that will take. As you have seen different keys in the stream like resolution, fps, codec etc. We can use these keys as filtering mechanism on the StreamQuery object to retrieve the desired stream(s) and then retrieve single stream by using methods like first(), last() etc., and then download the video using that stream. The above code shows how to use the filter() method, we can pass the file_extension parameter and retrieve streams for only the specified file format. Similarly, we can use type parameter in the filter() method, using which we can get either stream of type audio or of type video only. After using the filter() method you can use any of the methods that will retrieve a single stream (first(), last() etc.,) then you can call the download() method to download the file. If you are looking for the code to download a video easily, here is the magical one-line code to download the video with the highest quality available to the current working directory. Build a media player to stream YouTube videos. Automatically get the number of views of a YouTube video you want to monitor or a dashboard for your Youtube channel. Download multiple videos or playlist with ease. Please drop any innovative ideas/applications possible with pytube in the comment section below to help our readers gain more insights.